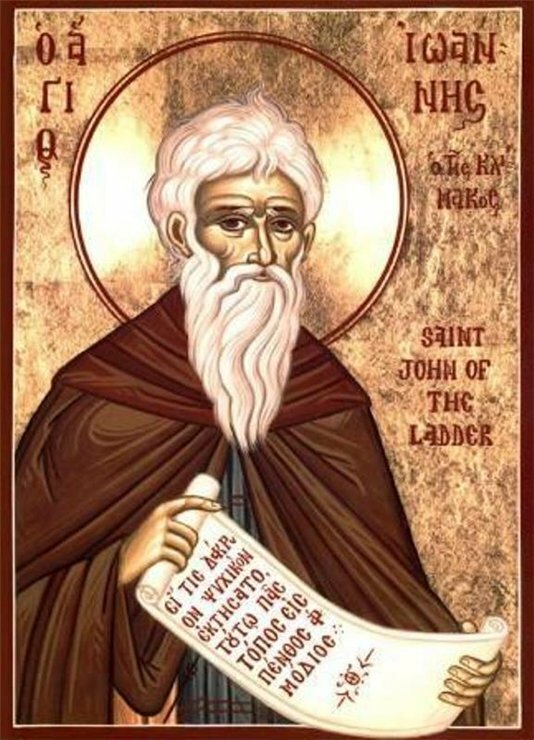 St John Climacus whose memory we keep today says in one of his writings: “We shall not be judged, brothers, we shall not be condemned for not having worked miracles or spoken words of prophecy ; but we s’hall be condemned for not having bewailed our sins throughout our life”. What is there in sin which should cause us such broken-heartedness that all our life should be – not darkened, but inspired by this pain in our hearts? We tend to define sin as breaking of the moral law or acting in a way which is contrary to our duty or to what is right, but there is something more fundamental in sin, which should indeed cause us sadness and more than sadness: a deep pain. Sin is disloyalty, sin is unfaithfulness, it is unfaithfulness and disloyalty towards God because it means that whatever He says matters little to us, although, when He spoke to us, He spoke with all His human love and His love divine ; and indeed, to show us how much we matter to Him, how deeply He values us, He gave all of His life and all of His death to save us, and for us to believe in love divine! To sin means to turn away from One who loves us unto life and into death; and it means by implication that His life and death are too little for us, too little for us to respond by love, to respond by faithfulness and loyalty. Indeed, this attitude results in our breaking in a multitude of ways those laws of life, which are conducive to life eternal ; those laws of life that would make us truly, perfectly human in the way in which Christ was perfectly human, in the total harmony between God and us. But these concrete sins which we commit all the time, this coldness to one another, this indifference, the ease with which we judge and condemn, the way in which we turn away from the need of others, the way in which we care nothing for the love which is offered us: all that results from this coldness of our hearts. 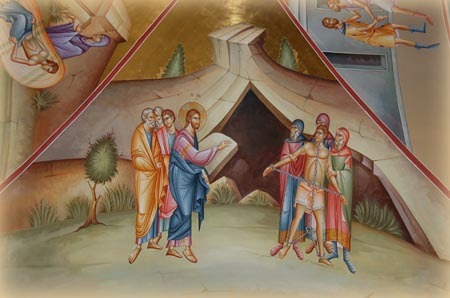 It is not in vain that Christ says today in the Gospel, “This demon, this spirit is cast out only by prayer and by fasting”: fasting, in the sense of turning away from all those things which are beguilement, which take us away from love, from loyalty, from faithfulness, from integrity, that destroy our wholeness ; and prayer, as communion with the living God Who is love, and in whom alone we can find the strength and power to love. So it is not surprising that when the man who had brought his child, sick with epilepsy, to the disciples, turned to Christ saying “They were unable to heal him”, He said, “Bring him to Me” ! Unless we are brought to Him, all other things are in vain. We may ask ourselves, “Are we so separated from God that we should bewail this separation all our life?” Indeed, who of us would dare say that at every moment his heart is warm, his heart is deeply moved by the sense of being with God, of God being close, of being in communion with Him? 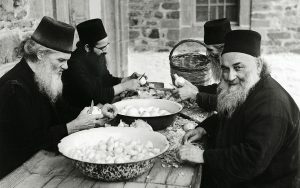 We should be with regard to God in the condition of one who is in love, who at every moment, day and night, waking or sleeping, is aware that his heart is exulting and tremulous with a love that fills him to the brim, that is joy, that is exultation, that is peace and serenity, and strength, and courage, and a love that allows us to look around and see everyone in a new light, that allows us to see the divine image shining in each person whom we meet, rejoicing in it. If we ask ourselves how far we are from God, and cannot measure the distance between us because our experience of being close to Him is so small, let us ask ourselves “How far am I from the people who surround me? How little love, how little loyalty, how little gift of self, how little rejoicing in my neighbour there is in me? How much there is of judgement, of indifference, of coldness, of forgetfulness?”. And then we will be able to say, if I am like that ,it means that I am not God-centred, that God is not the King reigning supreme in my heart and mind and my whole being and life. And when we think of ourselves and see ourselves divided between the call of God, the desires of our fallen humanity and the beguilement of evil, then we can again say “How far I am”. And until we have found harmony with God, we will be divided and broken within ourselves, until we have found harmony with God, we will be divided one from another. This is why St John Climacus calls us to give absolute centrality to the way in which we relate to God; because everything else will depend upon it. He is like the key of harmony that allows a tune to be read and sing; He is, as another writer says, the thin string that keeps together flowers, which otherwise would fall apart – even flowers, even virtue, even beauty, even truth fall apart, if there is not that wonderful love, exultation and joy which is given only by our communion with God, because He is love, He is life, He is truth, He is joy and light and exultation. 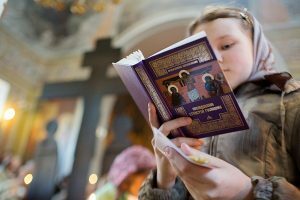 Let us therefore turn to repentance in the sense in which St John Climacus sees it: not an empty bewailing of our past, not a useless, barren regret at our not being what we wish we were, but a cry to God, “Come, Lord, and come soon !” And if we cry with all our heart, all our mind, all our need, then God will come, then we will find ourselves in communion with the living God and all things will become beauty; we will have entered into the Kingdom of God.